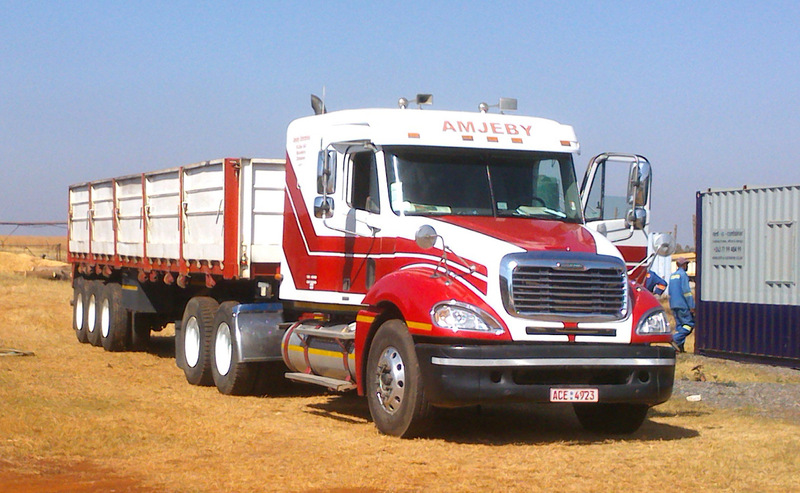 This is a Freightliner truck. An American brand they are popular in Zim ever since a number were imported from the Middle East quite a few years ago. This one arrived at work yesterday to take a modified container to Hwange in the South West (the landlord’s son converts them into liveable cabins). I got chatting to the driver. He admitted there were rather a lot of electrics that had once stopped him on a weigh-bridge because of a faulty oil pressure sensor. They’d also disconnected the automatic greasing facility – trust Zimbabweans to “make a plan” to get around inappropriate technology. Growing up on a forestry estate in the Eastern Highlands of Zimbabwe my father had a Peugeot 404 pickup truck. It was definitely more comfortable than the Land Rover it repaced and it lasted well on the less than perfect roads – not least because my father maintained the roads AND the pickup! I haven’t seen a Peugeot 404 for some time now but they were made to last – appropriate technology at its best. They were followed by the Peugeot 504 which was definitely more luxurious by the day’s standard and didn’t last as well. Other appropriate tech cars included the Renault 5 with the gear stick on the dashboard and yes, you do still see a few around. A physiotherapist friend and her twin sister had one when I was at the St Giles rehabilitation centre in 1979 which they had to hire from their father who happened to be the managing director of Anglo-American in this country (Anglo-American is a VERY big company in Africa!). Somewhat thrifty was Mr Carey-Smith! I own a seedling nursery business that is definitely appropriate technology orientated. Nearly everything is manual with a few exceptions, one of them being the clipping of the tobacco seedlings for which we use a Husqvana hedge clipper. It works really well for the purpose and requires little maintenance. Unfortunately it does require 2-stroke oil to be put into the petrol so when the operator came to me yesterday and said the machine had just stopped I had a pretty good idea what had gone wrong. Now I’d really like someone to come up with foolproof technology but maybe that’s a contradiction in terms. I drove a Peugeot 404 for a few days in 1977 and then we had a 304 station in a funny brick colour (called Copacabana). I loved the car!